We love playing in the dirt as much as the next gardener, but this 'clean up kit' get us back to fresh afterwards. Includes a 1 oz. 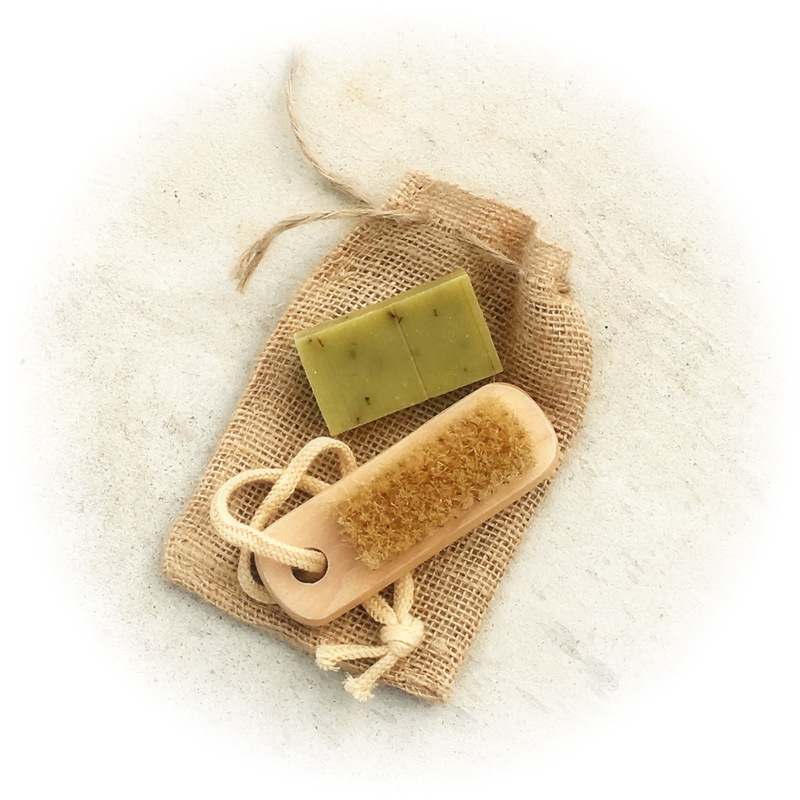 bar of organic soap that is a blend of pure mint essential oils combined with organic peppermint leaf and a nail brush for that hard-to-reach soil that get under your nails. Packaged in a burlap gift bag.